Bienvenido! 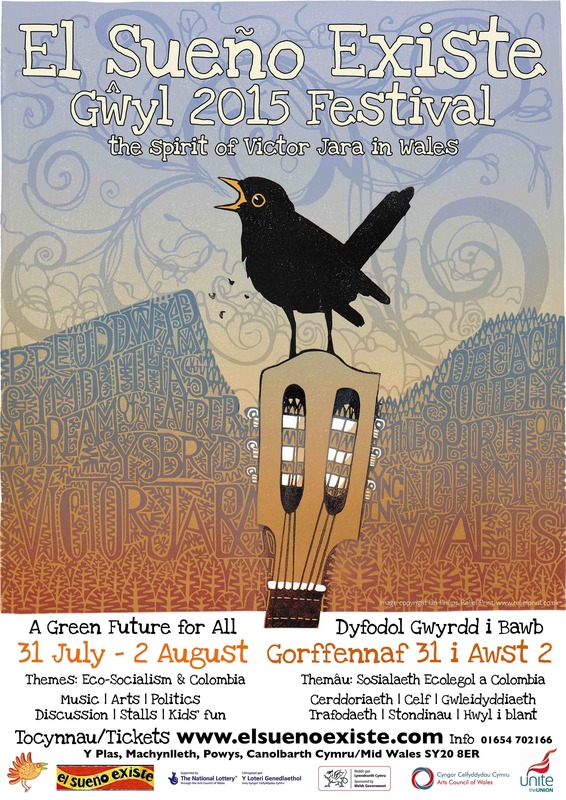 El Sueño Existe Festival of Latin American music and politics took place here in Machynlleth, 31 July to 2 August 2015. The spirit of Victor Jara in beautiful Mid Wales. We had a wonderful festival weekend. Thank you to the hundreds of people who came along and helped to make it so friendly, lively and inspiring. Thank you to all our artists, speakers, workshop leaders, organisers, volunteers, our funders and everyone who made it happen. Two wonderful photographers documented the weekend for us. Here are photos by Craig Kirkwood and photos by Kevin Hayes. The festival celebrated the music, dance, theatre and political activism of Latin America along with a special focus this year on both Colombia and ecology. You could try something new at our arts workshops. Plenty for the kids to do too. El Sueño Existe (‘the dream lives on’) is the banner name for Latin American events in and around Machynlleth, Mid Wales, organised by Mind Out for Music, inspired by the life and music of Chile’s Victor Jara and the New Song Movement. We gratefully acknowledge generous funding from Arts Council of Wales, Unite the Union and our anonymous donors. Diolch yn fawr iawn. Muchas gracias.